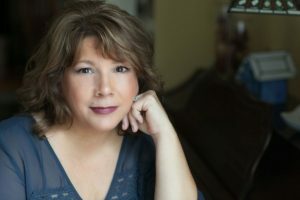 Laura Spinella gifted me a digital copy of Ghost Gifts and an autographed copy of Foretold in a giveaway, and I loved them! So I wanted to spread the book passion. I’m pretty excited that she agreed to be on my blooming little blog. She’s supportive of other writers, no matter where they are on their journey. Some of her besties are writers. Laura works for her web developer, so her website is “very custom!” It’s like an amusement park, with fascinating rides around every corner and tons of visual fun. 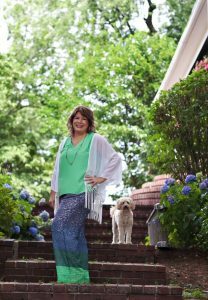 She’s also on Twitter, Facebook, Google+, Goodreads, Pinterest, and Instagram. Describe your writing environment and process, including research. 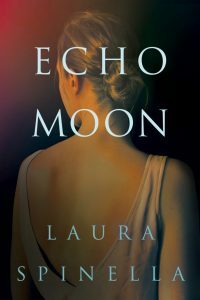 Click on book cover to pre-order Echo Moon! Most book writing occurs in my sunroom, which is…sunny! The room has a great vibe and it’s really where I do my best work. My desk faces the only wall in the room, so that provides a bit of built-in discipline. But the wall is covered in a collage of old postcards. They’re all of my hometown, Bayport, New York. The postcards provide a lot of inspiration. Interestingly, one card plays a pivotal role in my next book, Echo Moon. Lots of writers like to work in coffee shops, libraries, or other people-oriented locations. That’s just not my style…or maybe I’m just lazy. I’m most comfortable in my own space, but I can and have worked in some unusual spots. When my middle daughter was a teenager, she was quite ill and spent a lot of time at Children’s Hospital in Boston. (She’s fine now!) I wrote most of my first novel, Beautiful Disaster, in various hospital rooms, sitting on linoleum floors, or in waiting rooms. As for my research team? Mmm…that’d be the renowned team of Me, Myself & I. Naturally, I reach out to experts when necessary, but I do all the leg work. Last summer, I traveled to NYC to research early 20th century tenement housing, as well as making a trip to Coney Island. A portion of Echo Moon takes place in Luna Park, an incredible amusement arena that was a singular sight back in the day. Getting a place so rich in history right took a lot of research. Luckily, Coney Island’s museum curator couldn’t have been more helpful. 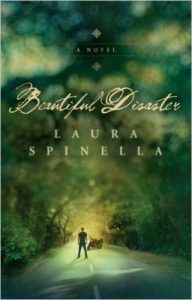 My first novel was published in 2011—Beautiful Disaster. The book did well and went on to be a RITA finalist. I always say I wrote the first draft in about six weeks. From there it was about six years to publication. That included the learning curve of writing a novel, to securing a literary agent, to actually selling the book. The book was published on the cusp of e-books, so it was a very different world in terms of publishing. 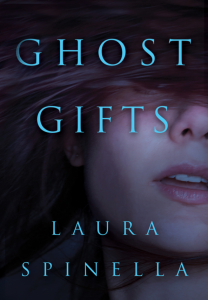 Click on book cover to order Ghost Gifts! 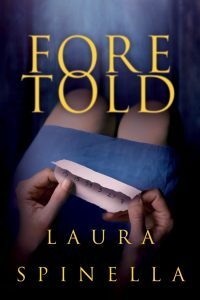 Click on book cover to order Foretold! Echo Moon, my latest, is due out May 22nd. It’s the last installment (after Foretold) of the Ghost Gifts Novels. Ghost Gifts was a Kindle First, which is an Amazon program that opens your book up to a huge audience. I really had no intention of writing any more “ghost stories.” Ghost Gifts did very well and Montlake, my publisher, asked me to continue with the main character, Aubrey, Ellis, for two more books. I hadn’t anticipated anything like this. Contractually, my next book was slated to be a women’s fiction novel, Unstrung. Looking back, I wish we’d put Unstrung on hold; the book kind of got lost in the Ghost Gifts shuffle. But Montlake has a fantastic publishing team in place—I really couldn’t ask for more in terms of a team effort, particularly the editing folks. They are top shelf. 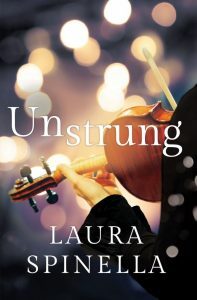 Click on book cover to order Unstrung! As far as in the moment publishing, we’re just gearing up Echo Moon marketing. I have a brand new street team, accessed via Facebook. I’ve always loved visiting with book clubs, and I thought this would be as close as I could come to creating an environment like that—a place to chat and chill with readers. Tell me about your support system and reciprocity. Naturally, readers are everything. You start with two or three readers and hope your writing attracts a larger audience. It’s an ongoing process in an extremely competitive market. 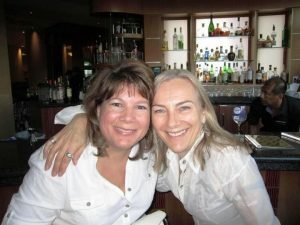 I have a small group of published authors who are also close friends. One of them is my critique partner, so we trade a lot of publishing stories and share the stressful moments. Click on book cover to order Beautiful Disaster! I had no author support when writing Beautiful Disaster—no real beta readers or other writers to share my work with. In fact, it’s kind of surprising I succeeded on any level! I learned, I think, from reading. I did end up with an extraordinary agent who gives incredible editorial advice. That said, I’m still a fairly private writer. I’ve grown in terms of a public persona, and I really do enjoy that part. But the writer in me is drawn to the solitude of the craft. Elaborate upon life influencing writing and vice versa. I’m not sure that my everyday life influences my writing all that much. When I go in that sunroom, it really feels like a whole other world. Writing, on the other hand, largely influences my everyday life. I’m fortunate to have an extremely supportive family. That’s code for they let me do my thing without a lot of fuss. Unless it’s crunch time, probably when I’m three months out from deadline, I try to keep to set writing hours. Those deadline months can get stressful because no matter how much time you have, it never feels like enough. What pleases you the most about your chosen career? Ha! Well, this would be easier to answer if I felt like I chose writing. I think writing chose me. It’s a strange life, a writing life. It’s isolating, exhilarating, frustrating, and fits into very few boxes. It can be difficult for other people to relate to, which is frustrating in an entirely different way. But that’s not what you asked, is it? Every time I finish a novel, there’s a brief moment where I sit back, look at the thing, and say, “Geez. How did that get there?” I like that moment a lot. 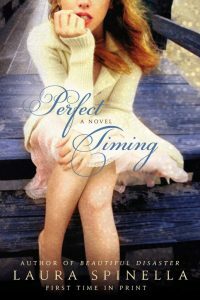 Click on book cover to order Perfect Timing!